Five makers and four academics make up the team we sent to China to take part in our unique research project into China's makerspaces and maker culture. Check out their film capturing their first steps into the world of China's makers. They've also found time to blog their thoughts and feelings - click on the quotes below to read the full blogs. "The best makers are driven by a fundamental need to create. Here in Shenzhen also, things must be made." "If I can expect anything, it is that I will have my expectations confounded." "I have a dread-tinged suspicion that by the time you read this post my life will have been changed forever." 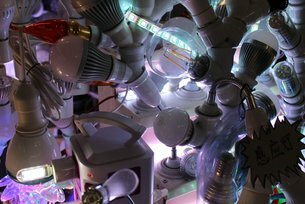 Maker Fiona Dowling shares her experience of Shanghai Maker Carnival and some of the incredible makerspaces visited in the last half of the trip.